Of the thousands of PaySimple users surveyed in our latest Small Business Pulse Survey (results hot off the press! ), nearly 50% plan to add more cloud-based technologies in 2013, and 53% plan to run more of their business via mobile. Other findings in the survey, shown here in a nifty infographic, include hiring plans, communication strategies and social media behaviors. Nearly 50% of respondents plan to add more cloud-based technology into their operations in 2013. Tweet this! More than half of small businesses (53%) plan to run more functions over a mobile device. Tweet this! 90% of small businesses have company websites. Tweet this! Only 33% of small businesses plan to hire new full-time employees in 2013. Tweet this! 51% of respondents plan to use Facebook and 17.7% LinkedIn for marketing. Tweet this! 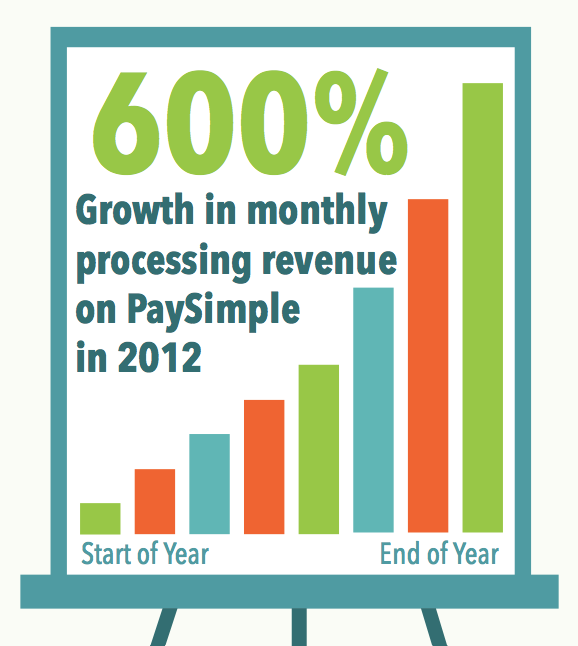 In 2012, new PaySimple users grew their monthly revenue processed on the platform by more than 600%. Tweet this! Click here to access the full release.